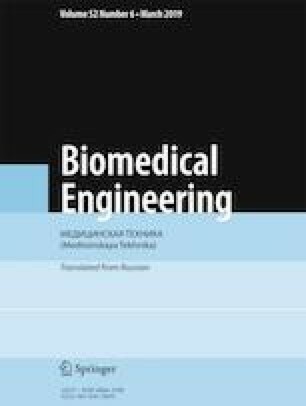 We present an analysis of possible approaches to transforming heart contractions kinematics into electrical energy to supply implanted devices. Preclinical studies of cardiac kinematics were conducted. We conclude that it is possible to develop generators for microelectromechanical systems (MEMS) to increase the service life of lead-less pacemakers. Translated from Meditsinskaya Tekhnika, Vol. 52, No. 6, Nov.-Dec., 2018, pp. 36-38.
www.siemens.com/history/en/news/1045_pacemaker.htm (accessed November 16, 2018).